Progress is being made at The Martin Agency as we continue to transform their Lobby, Atrium, and office space. 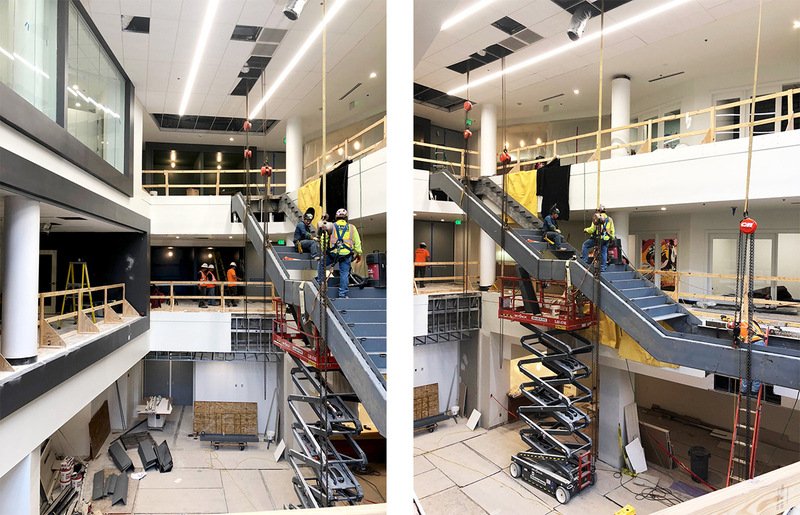 The space really started to take shape as stair stringers were installed in the Atrium last week. A similar staircase will mirror the one above, starting at level two and landing on a sprawling wood plinth. 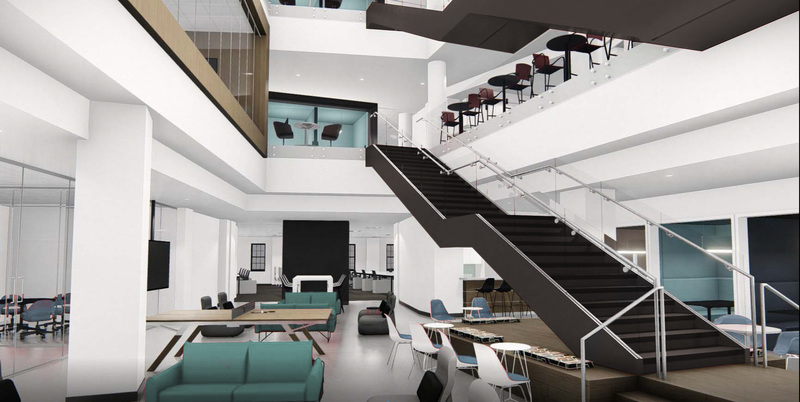 Glass fronted conference rooms, tucked away “havens”, and project teaming areas are also employed to create a more dynamic and versatile workplace.